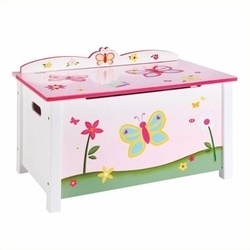 This adorable toy chest features soft butterflies and daisies on a background of baby pinks. Flimsy butterflies are also detailed on the outside walls of the box with so much character and fancy. The Butterfly Buddies collection features lively butterflies and cute flowers on a pink and white color palette! 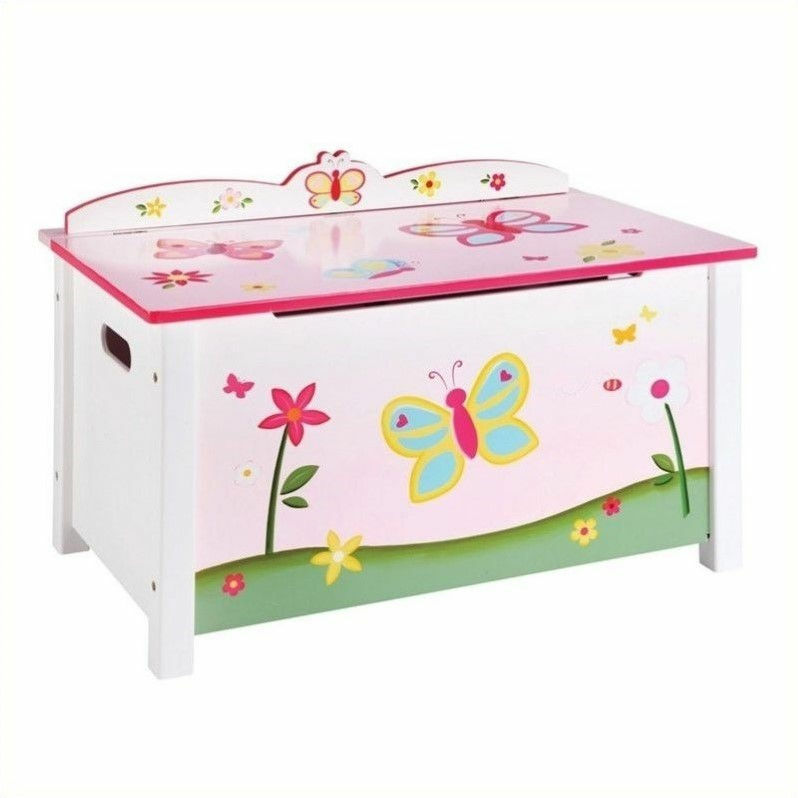 Hand-painted butterflies and flowers on the spacious toy box will add color, character, and interest to any child's room or play area. Features safety-lid supports and cutouts to prevent finger pinching.